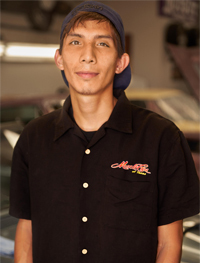 When he was only 16 years old, Vinnie completed his first restoration, on a 1932 Pontiac two-door coupe, marking the beginning of his passion for cars and his life-long journey toward Muscle Cars of Texas. 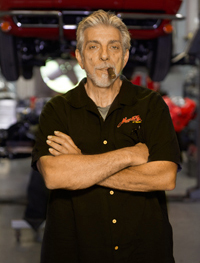 Vinnie moved to Texas in 1980 from New York and opened his first shop in Houston, Universial Car and Corvette, he quickly became one of the most well-known Corvette restorers in the state. However, Vinnie aspired to something greater. 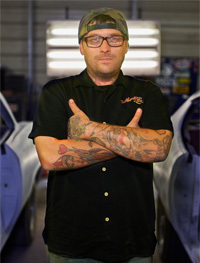 He soon expanded his knowledge base to include all things muscle car and opened Muscle Cars of Texas in 2000. With hundreds of completed builds under his belt, Vinnie can diagnose a problem by simply listening to it. Learning the inner workings of classic car restoration the old-fashioned way by touch and test, much of Vinnie’s training was acquired by hands-on experience. 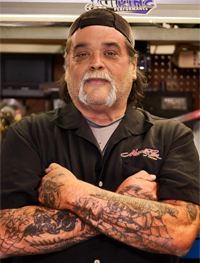 For more than 40 years, Vinnie has served classic car enthusiast from all over the world, building custom and classic cars that have helped raise the bar for today’s restoration expectations. “Hot Rod Molly” is a huge asset to our team. From day one she has proven herself to be a very valuable asset. Molly brings with her years of business management experience. 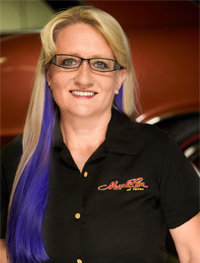 She has also been very active in local car show circles, winning awards with her own modern muscle car, as well as being very well connected with other local businesses. She has no problems being one of “the Guys” and keeping the rest of the shop in line when necessary. Molly handles all of the daily operations of the business. She orders and receives parts, handles all aspects of accounting and payroll, coordinates drop off and delivery of customers vehicles, and helps keep projects on schedule. “I am originally from Houston, Tx. I basically started out by taking things apart to see how they worked. This was a good thing considering my first few vehicles started out as junk. 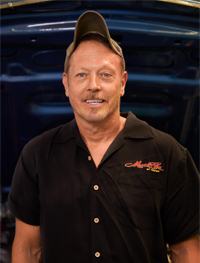 The first real shop I worked with was an Auto & A/C shop. I walked in with a cardboard box full of tools and went to work installing A/C systems in Fieros. “I joined the U.S. Army in 2001 as a Military Police Officer, and was stationed At Fort Lewis Washington with the 66th Military Police Company. In 2004, I was deployed to Karbala, Iraq where my unit conducted various combat missions. After my deployment, I was re-assigned as an undercover narcotics officer with the 42nd Military Police Brigade, Drug Enforcement Team, Fort Lewis Washington. I left the Army in 2006, returned to my home state of West Virginia, where I studied Graphic Design at Marshall University for two years. In 2009, I moved to Houston Texas and soon enrolled into San Jacinto College for the Auto Body Repair Management Program. “Born and raised in Houston, Texas, and being raised around cars since I was knee high to a grasshopper. One of my first cars was a 1967 Mustang. After that I knew I was hooked. Being a self taught mechanic I have worked all over the state, building my skills building everything from street cars to giant monster trucks. As time went on I decided to go to several technical colleges to attend classes for fabrication, sheet metal, welding, and automotive technologies. “My experience with cars started at an early age when I was allowed to ride with my older brother and his best friend in his 2006 GTO V8 Super Charged Coupe. When he would pop the clutch, I would be pinned to my seat, watching the tire smoke billow out around the rear end of the car. I knew I had to learn more about building these cars.